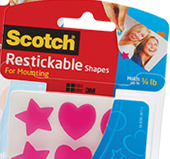 Hurry over to Facebook to request a FREE Scotch Restickable Tabs for the first 10k. Let us know if you score one! Next post: Amazon: Blue Turquoise Vintage Angel Tears Stud Earrings – Only $1.19!